911uk.com - Porsche Forum : View topic - This has to be a misprint or a scam surely? 911uk.com Forum Index > 993 (1993 - 1998) > This has to be a misprint or a scam surely? Posted: Fri Apr 13, 2018 11:09 am Post subject: This has to be a misprint or a scam surely? No contact details that I can see, is this George Eaton’s latest little jape? Definate scam. I looked at this yesterday and recall seeing the same car for sale a few weeks back, in the £40k's IIRC. If only it was legit... i'd be knocking on their door with a fistful of used notes. Mileage in the interior pic looks like 125k, rather than 60k. Posted: Fri Apr 13, 2018 11:54 am Post subject: Re: This has to be a misprint or a scam surely? Agreed re seats in Ashgood car although I sympathise for your poor wife's eyes. Seat change and a Black 3 Spoke Wheel and that be a cracking C2. although I sympathise for your poor wife's eyes. Posted: Fri Apr 13, 2018 3:55 pm Post subject: Re: This has to be a misprint or a scam surely? 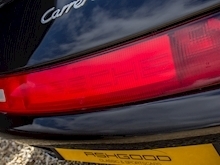 First time, thank you for showing an interest in my 1997 Porsche 911 993 Carrera. I have attached some photos of the car. The car is perfect condition, no scratches, no need for additional repairs, also you can verified the service history using Reg#pP723VFA, MOT until 25.06 2018, HPI clear, and has 60,000 total miles. My asking price is actually the exact amount I need to update my vehicle, thus I am looking to get £17,000 in order to avoid any delays. Currently I'm on a meeting of doctors in Warsaw (Poland) traveling due to the nature of my job, if you are a serious buyer, we can sort out the details in next mail. I was also bored, so sent a reply saying I had immediate cash available and require his account number. I plan on spinning this out using some of the hilarious examples on the 419eater website. I am guessing he is a colleague of British surgeon George Eaton. Bodmin - please go with a version of 'Father Bateyoo Reelgud The Church of Fish and Bread'. I have never read that one before - thats hilarious! Looks like the usual scam approach, please pay a deposit to a third party fully refundable if you don't proceed and I will arrange for the car to be inspected by you - cash and seller never to be seen again. I thought these type of scams had run there course but perhaps we have a new wave of scamsters. Apologies for high-jacking the thread but I thought George Eaton was the innocent party that sort of got taken advantage of by a.n.other. I know there is a lengthy thread on the whole story that I did sort of dip into a bit at the time but it got confusing so I gave up - was Eaton innocent or have I misunderstood? Sorry for going off at a tangent. Price increased from £49K to £55K over the weekend...... must be spring. I'm sure they'll have a reasonable explanation... (excuse)!